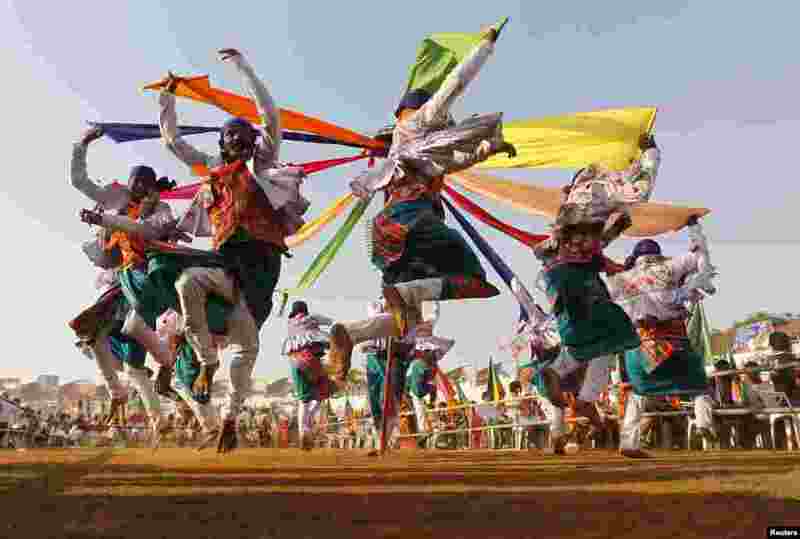 1 Supporters of India's main opposition Bharatiya Janata Party perform folk dance at a rally to celebrate party's 33rd foundation day in the western Indian city of Ahmedabad. 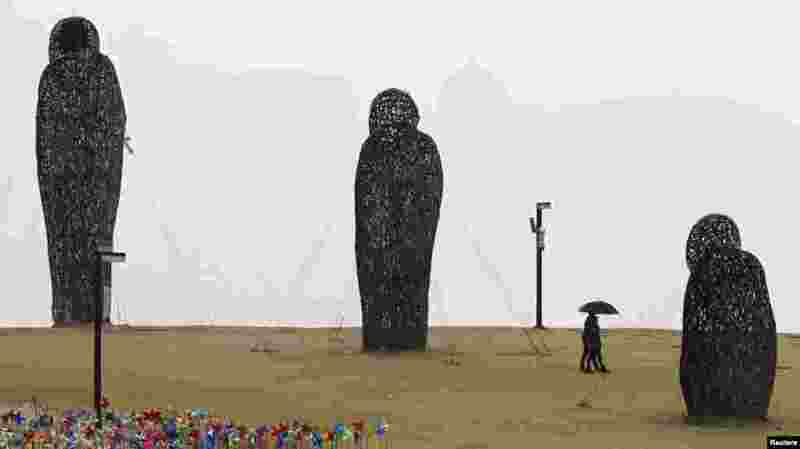 2 A couple walks on "The Hill of Wind" at the Peace Park near the demilitarized zone (DMZ) which separates the two Koreas in Paju, north of Seoul, South Korea. 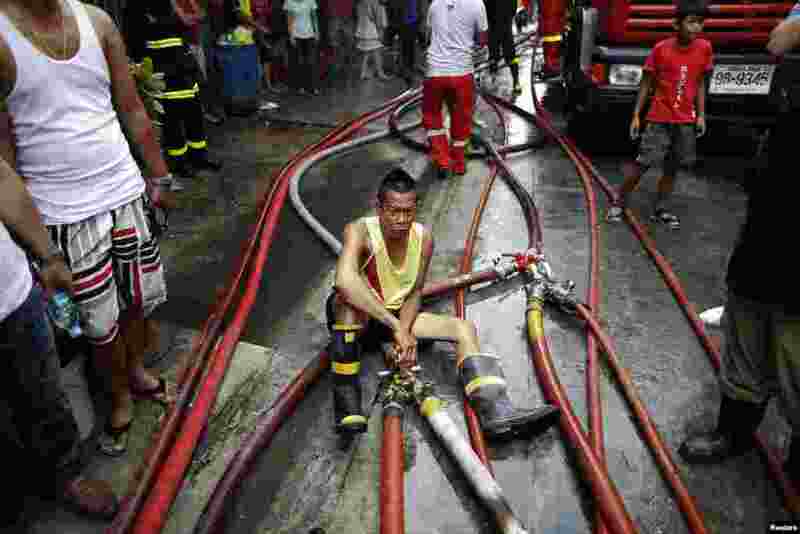 3 A man operates hoses as firefighters try to put out a fire in Bangkok's Sukhumvit area, Thailand. Dozens of houses were destroyed after a fire broke out in the residential area in central Bangkok. 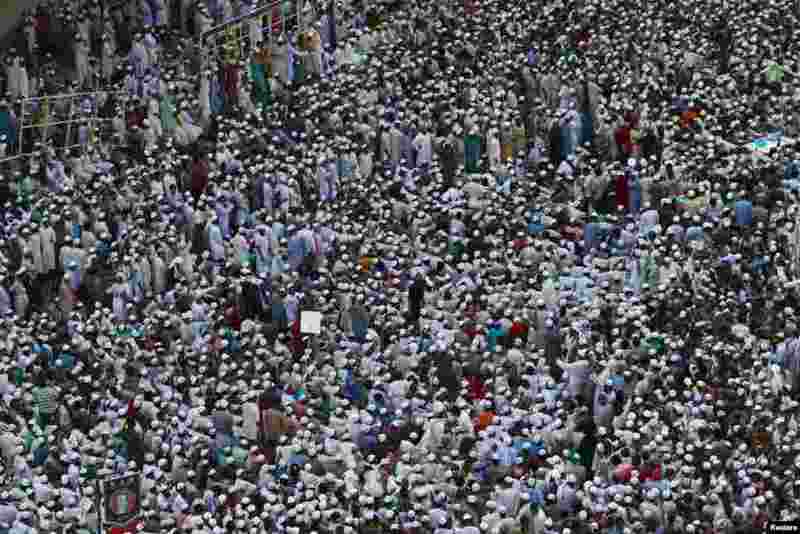 4 Thousands of activists of Hefajat-e-Islam attend a grand rally at Motijheel area in Dhaka, Bangladesh, to demand authorities enact anti-blasphemy laws.